How are plastic waste, growing hemp, organic farming, and water, connected? The fabric of life is built up of many threads, which are supposed to combine to make a wondrous fabric. However the generation of waste and dealing with it, makes an ugly tear in the fabric, and patchwork does not work. We have a tendency to view things in isolation, whereas everything in the universe is inter-connected. What is considered as ‘waste’ is the starting point for something that is useful, and so on, till we arrive at a state of zero-waste. Nature does not waste anything, only man does. So a solution is produced for one ‘problem’, without taking into account interconnections with that ‘problem’, and in the end we have produced more problems than solutions. Shall be joining some dots to put some things into perspective. As always, the viewpoint is India-centric, but the solutions can be applied anywhere. This is a world-wide problem and has solutions. Banning plastics is not a solution. Dealing with plastic waste as a resource is. Taking a somewhat contrarian view I am proposing that till alternatives are developed to the use of plastic packaging and products, plastic waste be used as a valuable resource. What we see around us are two things, civic illiteracy which makes us throw things (especially polythene bags, plastic products, paper, etc.) on the streets, and civic inefficiency in collection of that waste. Political parties display a lot of zeal when it comes to renaming cities. That zeal is missing when it concerns improving the quality of life of citizens. If political parties had to pay from their coffers for properties vandalised and damaged, business lost, and the cost of re-printing stationery of hundreds of thousands of businesses, they would lose a lot of their enthusiasm for re-naming. Airports and stations are given grand names, which are then reduced to acronyms, and the places are still referred to by their old names. As per a survey conducted by Central Pollution Control Board (CPCB) in 60 cities of the country, the quantum of plastic waste generation is estimated to be 15,342.6 tonnes per day, or 5,600,000 tonnes per year. The total may be much more. 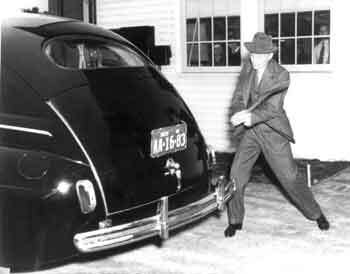 The diesel thus produced burns more cleanly than the diesel produced from crude oil. Now to see the potential of that amount of plastic waste for India. That 5.6 million tonnes of ‘waste’ translates to 4,760,000,000 litres (or 4.76 billion litres) according to the IIP projections. The Indian Railways consume 2 billion litres annually. Commercially available plants produce ca. 600–900 litres/tonne of plastic, which would give us 3.36–5.06 billion litres. The diesel so produced, needs to be viewed as a strategic resource. Viewing it in a different way, of the total amount of diesel consumed, consumption by the railways is 3.24%, and buses 9.55%. The agriculture sector is a major consumer with about 13% of the total consumption accounted for by it. Within agriculture, the consumption is as follows: tractors (7.4%), pump-sets (2.9%) and agriculture implements (2.7%). (Source). Also generated is 200 kilogrammes of petcoke per tonne of plastic. Processes are also available for complete combustion of the plastic waste with no waste leftover. — 200 litres of Lite Oil. Delhi generates 251,850 tonnes of plastic every year (CPCB), which means there is a potential of 151.11 million litres of diesel and 50,370 tonnes of petcoke. Used without gasification, the petcoke generated can be used to run a 10–12 MWe plant, as per the figures of consumption for Reliance’s proposed 4×90 MWe plant, at Mora Village, in Surat district. The nature of the problem is brought out in these images. Civic apathy by citizens, no segregation and collection, and inefficient municipal services, which do not allow the waste to be used as a resource. (The cows should be in a shelter and not eating rubbish. Easier to protest rather than to take up the responsibility of looking after them). So it is not plastic waste, (which includes bags), which is the culprit, and as mentioned above banning it is not the solution. (1) Homes: Bag to collect milk poly-packs, polythene bags, disposable plates and cups, water bottles, any other items like plastic wrapping used for packaging. (2) Roadside vendors, restaurants, places of worship, shopping complexes, market places, Parks: Use red coloured bins, since the volume will be larger. (3) Roads and streets: Red coloured bins with an efficient collection system. Involve NGO’s who can coordinate resource collectors (waste collectors). Once bins are made available on roadsides, market places, office and shopping complexes, parks, etc., implement littering fines. Involve ex-servicemen here. (CCTV systems like the ones to be installed in Delhi, should prevent theft of bins). Commercially available plants, with a capacity of processing 10 tonnes of plastic daily, with an output of 6,000–9,000 litres of diesel are available in India. The plants costs Rs 10–12 crores (approx 1.47–1.76 million US$), and have a payback time of 3 years. 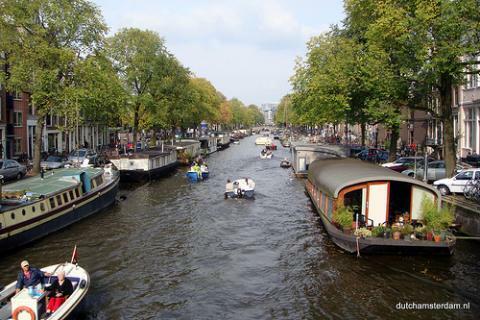 Solution: Delhi generates at the municipality level 689.5 metric tonnes every day, (CPCB). Assuming 90% of this can be processed, Delhi would require about 62 plants of this size, so that the collecting area for that plant is within a 5–7 kilometre radius. These can be distributed all around Delhi, rather than having two or three huge plants. Result: There will be no plastic waste to throw, which means no clogging of drains, no animals or birds ingesting it, and nothing going to a landfill. Clean diesel will become available, which can be used by a wide range of users. This would also be an employment generator. However there is a bigger opportunity, to solve a bigger problem. Plastic waste in the oceans. 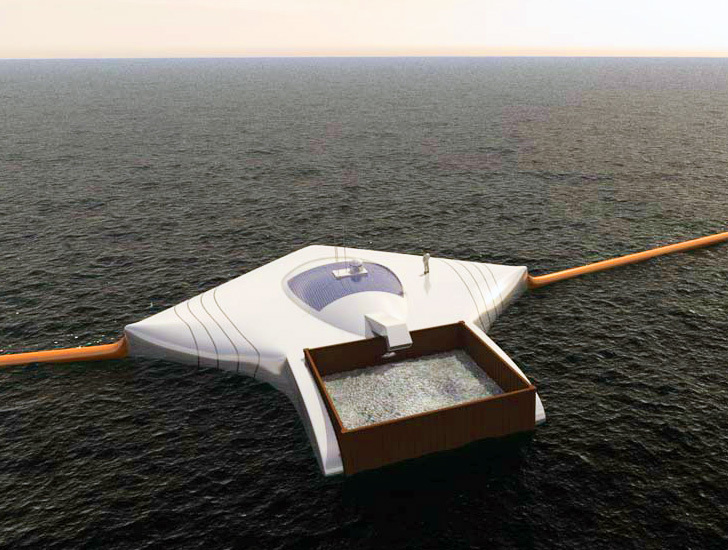 India can use this method and start an initiative in the oceans surrounding it. It would have three spin-offs: (1) the oceans would be cleaner, which would mean more and healthier fish, and marine life in general, (2) it would get raw material for its plastic-to-diesel industry, and (3) fishing boats can get their requirements of diesel from this source. (However should other countries decide to go in for the same initiative, there would be need to define geographical boundaries of operation). The Hemp referred to here is Industrial Hemp. The reason why it figures here is because it is a source for bio-plastics, along with more than 25,000 products which can be made from it. 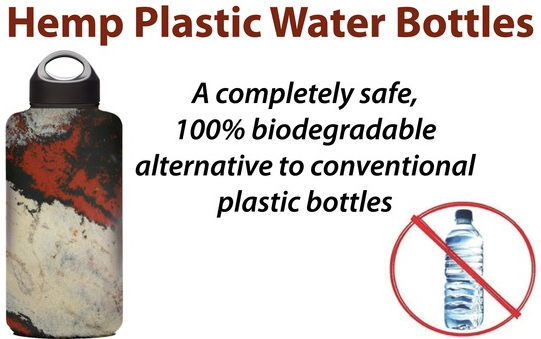 Since we started this article with plastic, we shall keep our main focus on plastics which can be made with hemp. Unfortunately even though the government is aware to some extent of the uses of hemp, there has been no significant investment in the growing of hemp. As things stand, it would require a significant amount of investment to get the whole hemp eco-system to be established. The effort is to present solutions to cut down pollution and have zero-waste going to landfills. Have already written about this in ‘Kitchen “Waste”, Surplus Power, and No Pollution’. The highlights of the article were total conversion of kitchen and organic waste to electricity and liquid fertilizer. At his juncture I would like to differ with those advocating using kitchen waste for composting. Composting is good in its place, but can only be used for growing activities. Whereas, the method I have advocated, provides electricity, as well as organic fertilizer. When we say use waste as a resource, then we need to extract the maximum potential from that resource. Composting does not do that. I had mentioned Urban Farming in that article as well. This would utilize a part of the organic fertilizer and provide organically grown fresh vegetables and greens in each locality at fair prices. There is no reason that organically grown vegetables should be sold at premium prices. Also vegetable supplies would not be hit in case of agitations and strikes. 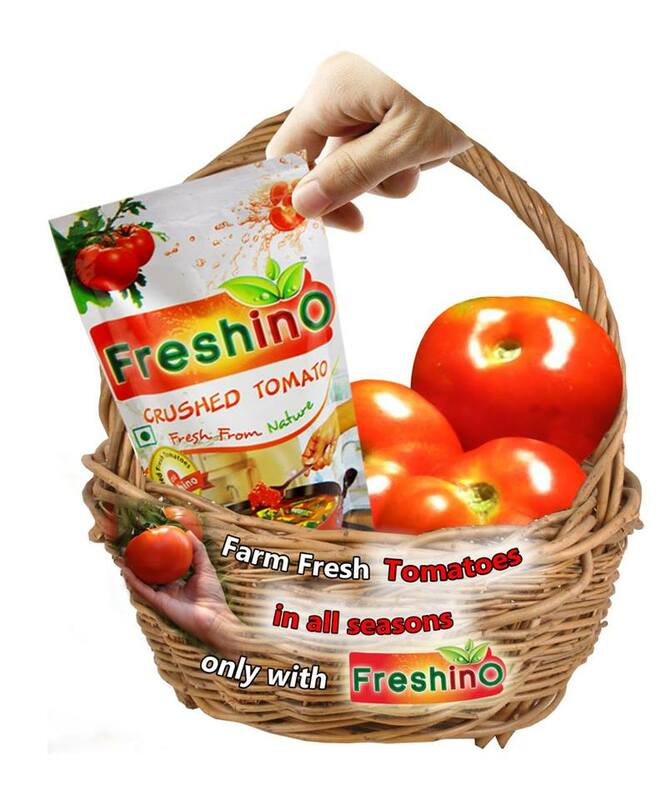 Any surpluses can be preserved by organizations such as the one below, so that there is no wastage of fruits and vegetables, which according to some estimates is around Rs 40,000 crore per annum. 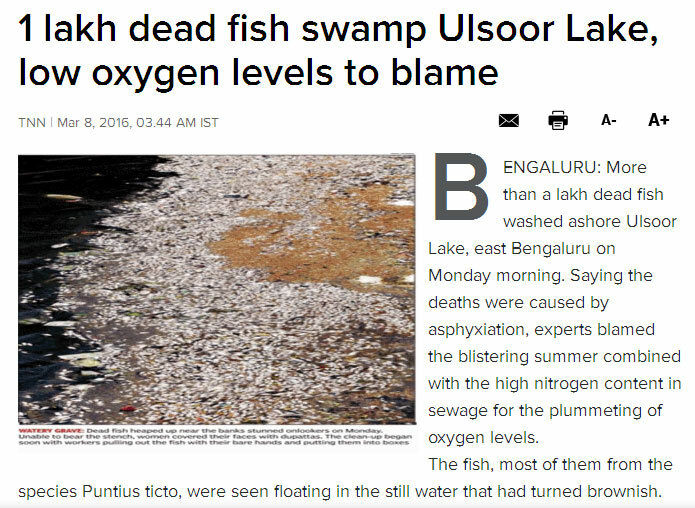 This is a picture of dead fish in Ulsoor Lake in Bangalore which appeared in the press. One of the reasons cited is the discharge of untreated sewage into the lake. Having lived in Bangalore, (renaming doesn’t sit well having used that name for over 6 decades), from 1953 to 1957, and visiting the lake a few time every month during my stay there, remember Ulsoor Lake as a beautiful place. Again a victim of civic illiteracy and civic inefficiency. 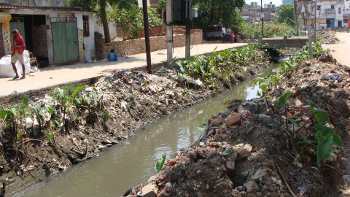 The solution for this situation, as it is all over India, is to treat sewage at localised points all over a city, and not take the sewage to a few ‘big’ sewage plants. Have a large number of water bodies for recharging ground water, as well as water sources. (Heavily penalize any real estate development over or near a water body). 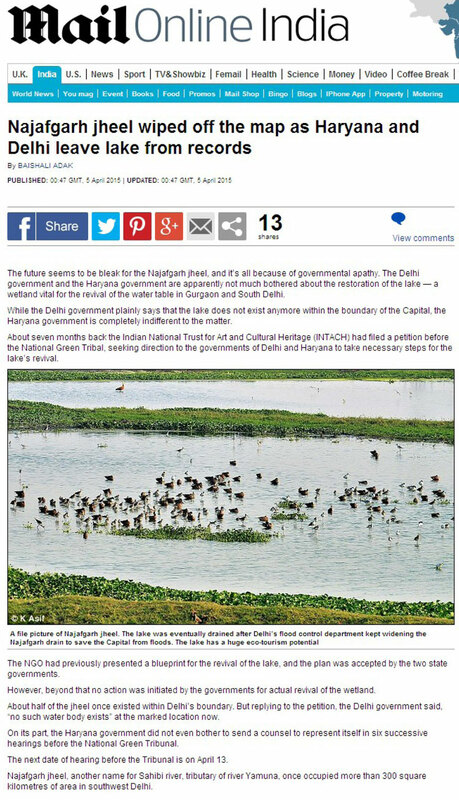 This what environmentally insensitive governments have done to what was once called Najafgarh Jheel (Lake), which is another name for the Sahibi river, a tributary of the river Yamuna, which once occupied more than 300 square kilometres of area in Southwest Delhi. Read more here. instead of being like this. Here is a video presentation of two of their installations. And here is one from the Arizona State University titled ‘From Wastewater to Renewable Energy’ (June 2012). When algae are put to work cleaning up wastewater, they can produce biofuel at the same time. A team of ASU graduate students is working with the Arizona Centre for Algae Technology and Innovation to clean up the environment while creating clean, renewable energy. Their project received initial funding from the EPA’s P3 program (People, Prosperity and the Planet). The video is produced and edited by Kirk Davis, Office of Knowledge Enterprise Development. Additional photography by Keith Jennings and Matthew Larsen. Solution: I don’t see municipalities investing in these processes. (Delhi recently experienced a strike by sanitary workers on account of non-payment of salaries). Companies need to come forward with entirely new PPP business models which have to break free of tripping and tipping contracts. Municipalities and land-owning authorities have to accord priority to allotting land for sewage processing facilities, and other waste-processing facilities, rather than shopping malls. (Not much use having shiny malls with no water or power). Result: Availability of potable water, groundwater recharge, source of renewable energy for power, source of biofuel. (Tax concessions, such as no excise duty on fuels produced from waste, like the one given to biodiesel). Citizens and the government will have to think very differently, if they want an energy rich, (the first building block of development), pollution free nation. Those beautiful smart cities and towns being thought of will have to use these processes, to remain smart, otherwise they will just be real estate ‘developments’, which will enrich a few people and impoverish the nation. All these areas would present an excellent area of investment for humanitarian funds. These are all community focused activities, with the accent on the community rather than profits. Would be pleased to provide advice and support to any such investor/s.